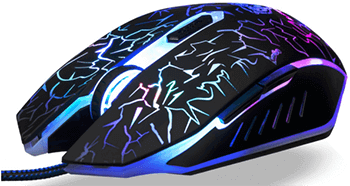 If you want to buy a cheap gaming mouse under 20 dollars for your son, daughter or want to gift it to someone else then the Liger gaming mouse is what you need. It is not costly but has all great features that a gamer wants, including many buttons and easy to switch DPI option. 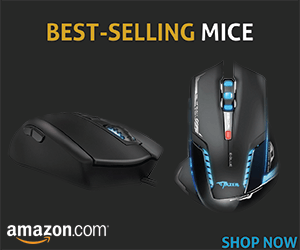 It is a great mouse for starters in fact because it does not have programmable buttons but all 6 buttons are really useful and work perfectly. It has a left button, scroll wheel, a right button, a page up button, a page down button, and a DPI changer. All buttons are sensitive enough to give you a great feel. DPI switcher changes the sensitivity on every click from 1000 to 1600 to 2400 to 3200. So, click the button and get the sensitivity you want to control the game. As far as size of Liger gaming mouse is concerned, users with small hands may not find it comfortable when they use it for the first time; however, when you keep using it, you will like it because it has good palm grip. Gamers with big hands will surely love this mouse as it has been designed to fit large hands. One of the most appealing things about this mouse is its lighting pattern. The design pattern of the mouse itself is astonishing and when you compliment it with the mouse’s lighting then it becomes extraordinary per look and feel. There are 7 lighting options that can be selected easily with a single click. These lights give a beautiful look to the mouse, especially during the night. Some gamers may feel that these lighting patterns are destructive; such gamers can turn off the lights and enjoy using the mouse without lights. 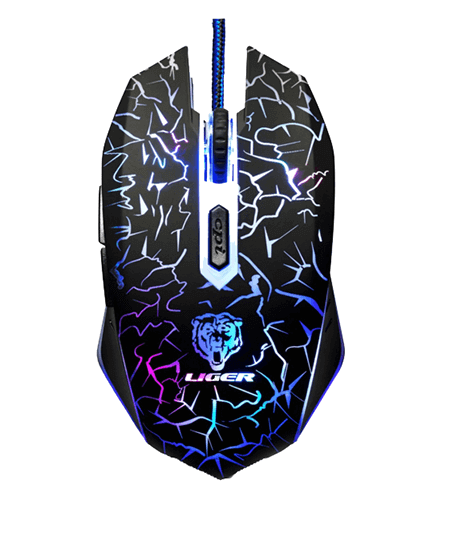 The Liger gaming mouse is easy to use because of its plug and play connectivity, which means there is no need to install and configure software just to use this mouse. Plug it into the USB port, your computer’s operating system will automatically identify it, and all required drivers will be automatically installed. Within a few moments, usually less than a minute, you will be all set to experience this mouse. How do you turn lights off? Hey Sergio! You can change the color or turn off the lights via the software! Where do I get the software? The mouse didn’t come with a disk or anything. Ross, that doesn’t help, like at all. So first of all, I had a problem with the scroller not working, and it was only changing the volume. To fix this, you must hold the dpi button (infront of scroller) for 5 seconds or more, then it will invert from scrolling and using the side buttons to change pages, to changing volume and using the side buttons for nothing (at this point it doing nothing is what i think). I have not learned how to change the lighting, i will try to get back to you on this. How do you make the lights stay on one color? Hey Michael – Have you installed software? What it the software i have to install?